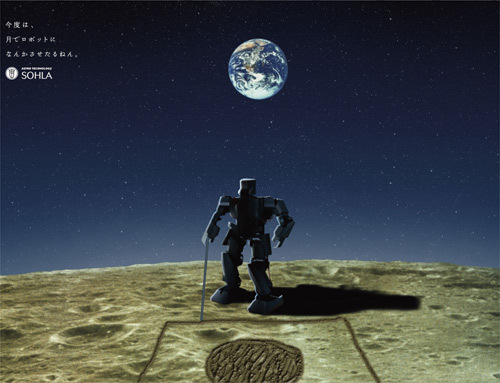 A humanoid robot will be walking on the moon by 2015. I say wonderful because I’ve been a fan of the magazine since I was at primary school so I got quite a buzz when their reporter contacted me at work to contribute to the story. It’s going to be quite a feat. NASA’s also playing with humanoid robots at the moment, although I still can’t help wondering whether humanoid is the best shape for space robots. Would the reduced gravity of the moon make it easier or more difficult for a bipedal robot to walk and remain upright?